The question being asked these days is should we be concerned about Elon’s difficulty in meeting his production goals for the Model 3. More importantly will his production problems reduce demand for the Model 3. With reported reservations north of 400,00 for the car made since March 31st of 2016 ,you have to believe that demand is high. The reasons for not worrying about demand for the Model 3. There is no cause for worry about demand. Tesla has 455,00 reservations still according to the company. Spend time on any other blog or Facebook page devoted to Bolts, Leafs and other electric cars and you will find plenty of people who have gotten a refund to buy a Bolt or a Leaf. But with 455,000 still wanting a Model 3, I wouldn’t worry about demand. Tesla is the king of word of mouth marketing (See the EV Advertising Scorecard from Torque News). Customers purchasing Teslas are selling their friends and others on buying one. The Model 3 will benefit from this but Tesla needs to get more of them on the road. We need more owners to, “word of mouth market”, them. Model 3's availability overseas has not begun yet. All of Tesla's Model 3 deliveries have happened only in the U.S. And only to buyers who reserved their car early. When deliveries begin overseas the demand is of course going to rise dramatically. Simply put, demand for the Model X and Model S has never been a problem. Price does in fact matter. People want this car and they are willing to wait. The 35,000 dollar entry level model won’t be released until late 2018. There is rising demand for electric cars. The Chevrolet Bolt hit the market before the Model 3. While the Bolt has been initially selling well, the Model 3 is surpassing the Bolt in deliveries. With so much competition in the burgeoning electric car market, more entries will benefit all buyers. This is the moment we will all look back on as the year that electric cars grabbed our attention and showed us they are a great alternative to and ICE powered vehicle. As for Tesla and the Model 3, if Elon can fix his production issues it will be full speed ahead with no looking back. GM doesn't even market the BOLT. It seems like they do not want to sell many of them. I think they are living in a fantasy world where EVIL BIG OIL AND THEIR CRIMINAL ENTERPRISE will kill the electric car AGAIN! The CON MEN ON WALL STREET @CNBC @foxbusiness gets all giddy and happy when they can report bad news about TESLA. It is so obvious they have all shorted TESLA stock or are in bed with BIG OIL. I never seen so many frauds who are hoping, praying, cheering, and wishing for the failure of a business like these frauds on @CNBC and @foxbusiness.A bunch of establishment greedy frauds. You owe your standard of living to the oil companies. Even if that is true they do not get an eternal life monopoly on the market. When a better more efficient vehicle power system is the obvious future, its time to move on. BIG OIL get out of the way of progress! Stop destroying our planet, causing wars in the Mid east, and wasting my American tax dollars on fake wars for profit against people who have no security threat to the United States except for the ones BIG OIL and BIG MILITARY industrial con men create.BIG OIL Bribes government officials to create Laws and regulations to eliminate EV's. They are unethical evil, Greedy DIRT BAGS! Notice how when OIL PRICE is skyrocketing out of control the con men on @CNBC, @FOXBusines say energy prices are rising. They purposely Substitute ENERGY for OIL in their statements. Energy is all energy. Oil is just one segment of energy. They do this so save BIG OIL from negative publicity when they are gouging/screwing us all at the pump. The con men get all GIDDY/Happy when oil prices rise knowing everyone in the COUNTRY is getting the "RepubliCON scam tax" only the money goes to a few rich people. I have encountered some fairly implausible claims by Tesla bulls, but the notion that increased competition will actually help Tesla sales has to be the nuttiest yet. It is far more plausible to view the future for Tesla as quite gloomy - every technological advantage that they have had in the past (driving ranges, public fast recharge networks) have now been surpassed by the competition or soon will be. Tesla is out of the loop with respect to recharge stations - only TEsla cars use the chaging protocl available at Supercharger stations. The rest of the world (except Nissan) used the de Facto worldwide standard CCS protocol, an open standard, as opposed to Tesla's proprietary protocol.And the CCS stations can recharge twice as fast as a Tesla Supercharger, which provides those stations with a tremendous cost/pricing advantage and customer time saving advantage. Since there will be an overwhelmingly large number of CCS EV over the next several years, CCS recharge stations will completely dominate the landscape - they will be practically in every corner gas station, as opposed to the sparsely located Tesla Superchargers, which are seldom within 50 miles of one another. The coming avalanche of EVs,( more than 120 models) will be more than competitive - some will shred Tesla sales of their highest profit Model S and Model X vehicles, such as the Porsche Mission e versions,which already have lengthy waiting lists. Model S and X sales have not been very good lately - they seem to have tapped out their niche markets worldwide. But the biggest obstacle to Model 3 sales is the fact that they lose their tax credits and will have to compete against technologically superior vehciles that will have a $7500 pricing advantage. Such a possibilty has already caused significant defections from the Model 3 waiting list, which hasn't increased in size for quite some time. The fact is, Tesla will find it difficult to find buyers after it satisfies those on the current waiting list, which likely will take less than a year and a half. All those competitor automakers have millions of loyal customers and with all of the negative publicity that has and continues to hit Tesla Motors, I can't imagine anyone wanting to leave their brand and jump on Tesla's broken bandwagon. Tesla's success has almost completely depended upon their position as a monopoly player in the EV field. 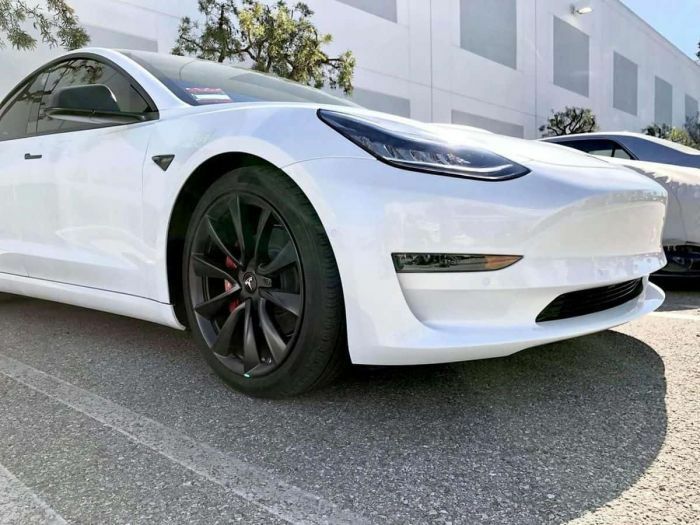 That will end and likely so will Tesla Motors, when they try to build a $35,000 Model 3 and then compete against superior vehices that have a net cost of $28,000.. Small wonder that Elon Musk is desperately trying to convince the Feds to kill the tax credit.. Somehow that doesn't gibe with Musk's eternal claims that his only purpose in all this is to encourage the transition to EVs. Of course, anyone should know that declining battery prices are what's driving the increasing attractiveness of electric cars, and Musk has had nothing to do with that. Teslas are too expensive. I'd much rather buy a Toyota Corolla or Honda Civic, the two greatest cars ever built. -Charging stations can easily be reconfigured and more connection types added. -My point is BIG OIL controls the Business media at @CNBC, @FOXBUSINESS, and @bloomberg and all the major auto mfg's. . They all take shots at TESLA every chance they get. Imagine if Apple had to deal with a large world wide criminal empire trying to stop them from opening their own stores to sell their own product. Iphones and Ipads would not exist. I have never seen such an open establishment attack on one business since TUCKER! -TESLA/MUSK are the the EV leaders. The establishment is trying to take TESLA down because they all have OIL STOCK AND FUTURES. and they are corrupt con men aligned with the American Petroleum Institute Cartel and the OPEC Cartel. BMW, and all those other MFG's are not serious about EV's. They don't market or sell them aggressively at all. They hide them on the lots. - TESLA demand proves people want them. Big Oil brethren have tried everything in the book to deface EV's.over the years: Things like: Batteries won't last, Too expensive, No range, technology is not there, people don't want them. Changing regulations to benefit OIL, Billions in tax brakes for decades , yet crying foul when EV's tech gest a PENNY saying We are picking winners. All lies and propaganda.